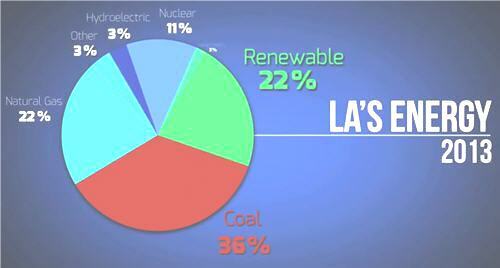 Los Angeles announced this week it will eliminate its use of coal power by 2025. 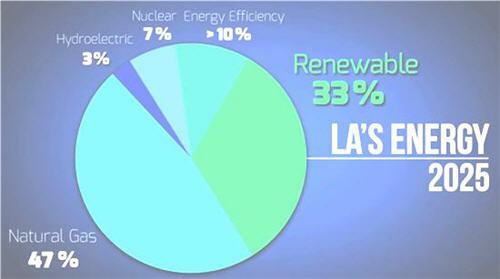 The California city will be the first major urban centre in the US to become 100% coal-free. Currently, Los Angeles uses two coal plants — one in Arizona and another in Utah — to meet more than a third of its energy demand. The city plans to end its contract with the former plant by 2015 and the latter will be converted to natural gas by 2025. The move away from coal toward more natural gas and renewable energy resources will reduce the citywide emissions by 40%.